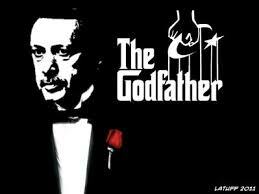 Erdogan the Don, in response to a question about what he will do with Gulen if he is extradited from Pennsylvania, answered "I'm gonna make him an offer he can't refuse." Police give speech and tell the people to let the police search your car and home and then complain later. France extends state of emergency for another 6 months. Wikileaks ready to expose the coup and is being hit by cyber attacks and Turkey blocks the information from the people. Kiev has been attacking the Donbass area since midnight is this the start of a new offensive. Erdogan has purged over 50,000 people. We are waiting to see Erdogan actions on which direction this entire event is heading. The White House retracts the part of Kerry stating Turkey will have to leave NATO. France troops are in Libya fighting with Unity Government. France getting ready to bomb Iraq with the US.